Let’s start off with this simple forex range play on USD/CAD’s 1-hour time frame. The pair just bounced off the top of the range at the 1.2550 minor psychological level and looks poised to test the bottom once more. Price is stalling at the middle of the channel at the moment while stochastic is starting to turn from the oversold region, hinting that another move higher might take place. 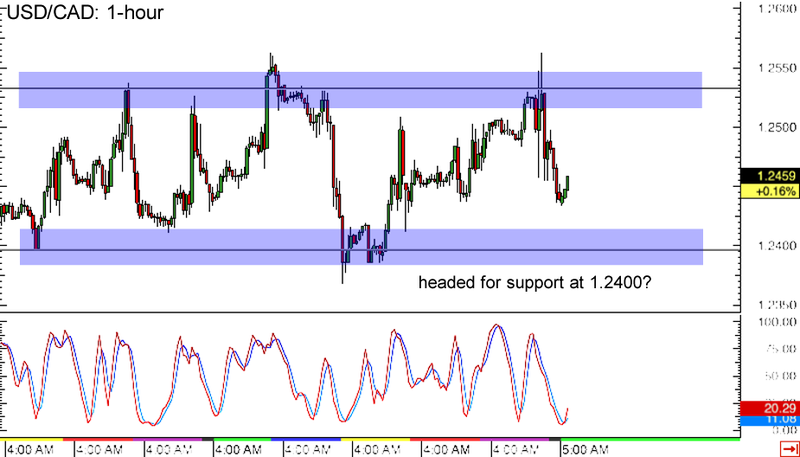 But if sellers stay in control, the pair could still make it to the range support at the 1.2400 major psychological level before regaining ground. Better wait for reversal candlesticks to form around the bottom of the range and to set your stops below the support area if you’re planning on going long! Watch out, pound bulls! Cable could be done with its recent rallies, as a reversal forex pattern just formed on its 4-hour time frame. 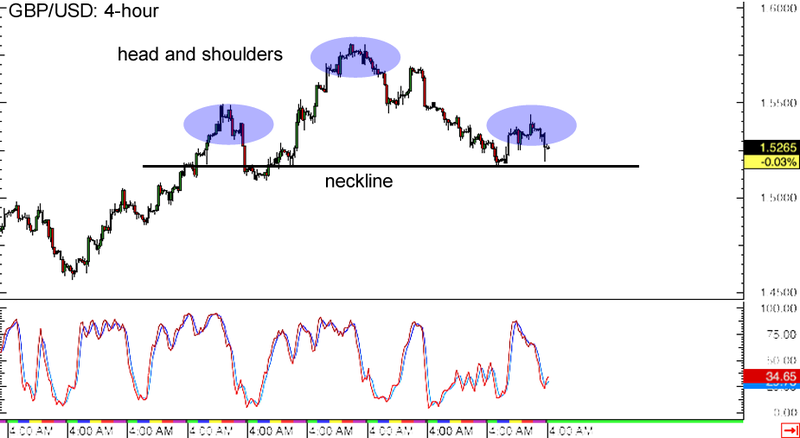 A head and shoulders formation can be seen, with price gearing up to test the neckline around the 1.5100 major psychological level. A break below this support area could confirm the potential downtrend, which might last by around 700 pips or the same height as the chart formation. Stochastic is climbing from the oversold area, however, indicating that buyers might still keep the pair above the neckline support for a while. If so, a climb to the nearby resistance area at 1.5500 might be in the cards. Gather ’round, Loonie bulls! 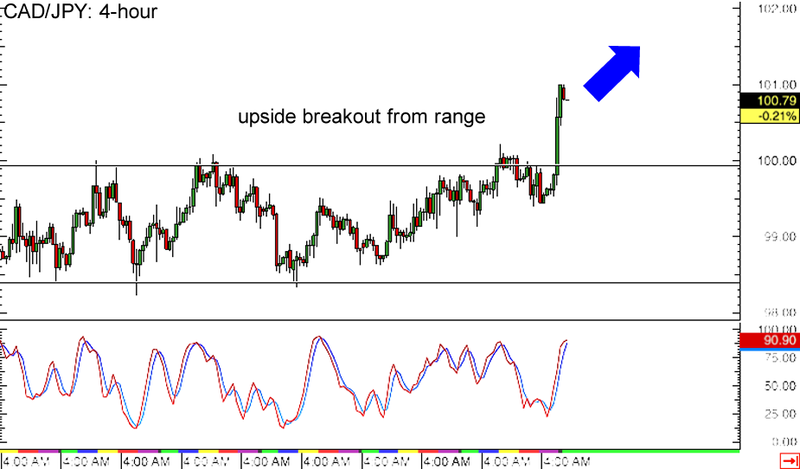 CAD/JPY just made an upside break past its range resistance visible on its 4-hour forex time frame. This could be a sign that the pair is ready to go for more gains, even though the rally seems to have paused around the 101.00 major psychological resistance and stochastic is nearing the overbought zone. If sellers take over, the pair could still head back to the broken resistance at 100.00, which might now hold as support. Once the climb resumes, CAD/JPY could head north by at least 150 pips, which is approximately the same height as its previous range. Just make sure you review our lesson on How to Trade Breakouts if you’re hoping to jump in this move!